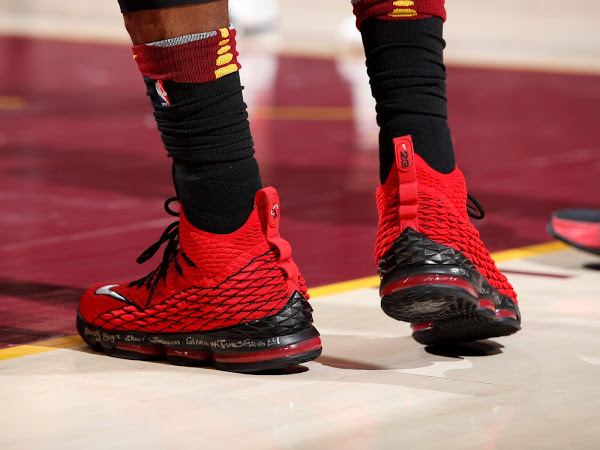 Last night, LeBron James debuted the ‘South Beach’ LeBron 15 as a part of the LeBron Watch, but he decided to keep that pair to himself. 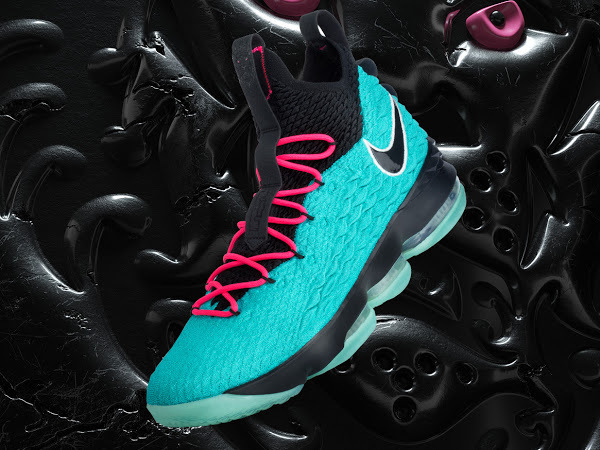 This means that we still get at least one more version at retail and now all the attention turn towards the next installment inspired by the signature series for baseball legend Ken Griffey Jr.
Nike did already release the ‘Swingman’ Nike LeBron 9 back in 2012. 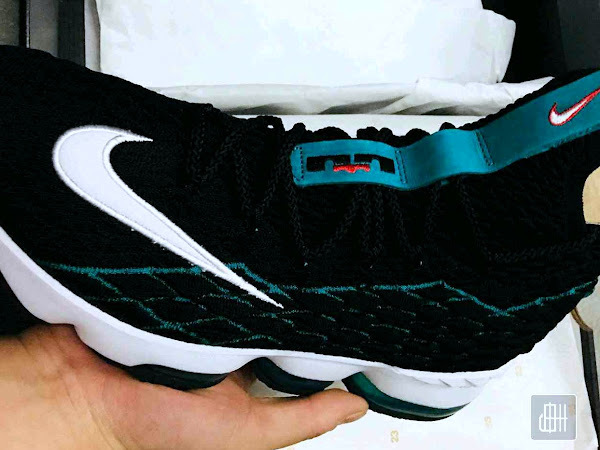 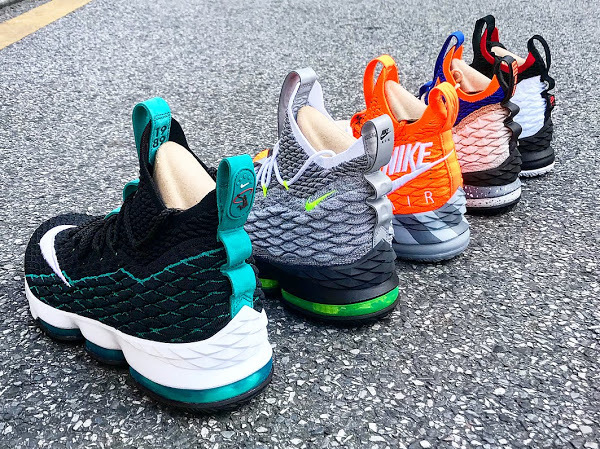 This new iteration sports the LeBron 15 silhouette with the “Dunkman/Swingman” logo on the heel, a black/teal Battleknit upper, and a big white Swoosh with the Swingman’s trademark toebox placement. 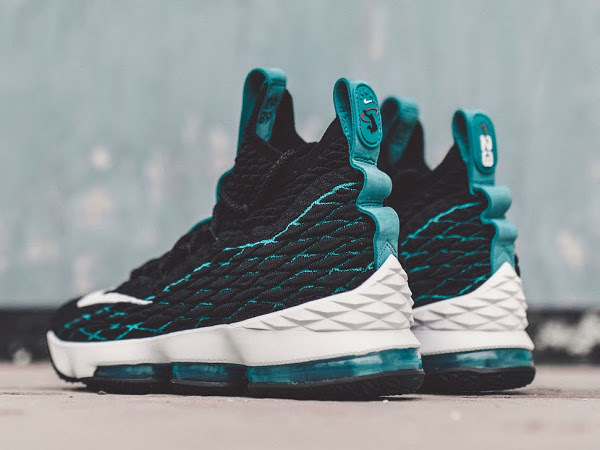 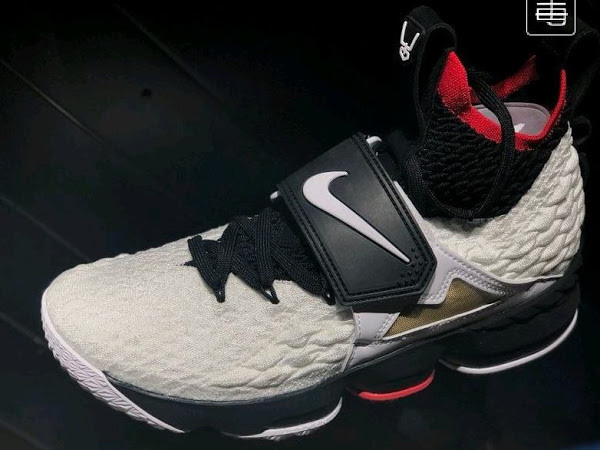 Per usual a release date isn’t known upfront, but once LeBron James wears these on court expect an Instagram Stories update just before the tip-off followed by a draw on the Nike SNKRS app. 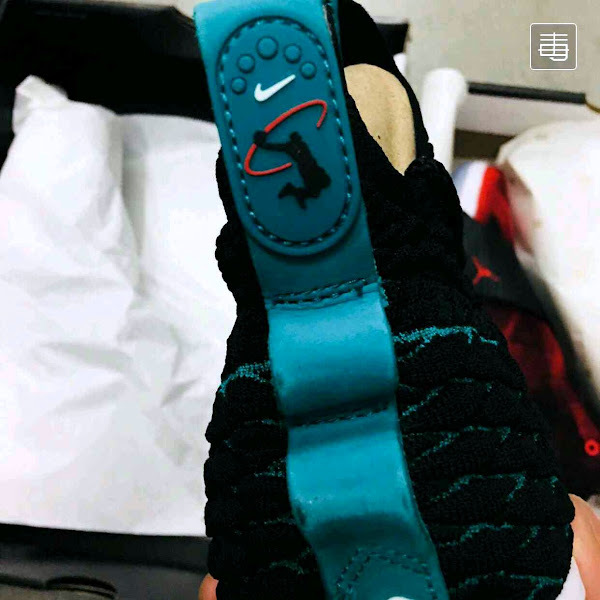 April 3rd is one of the possible dates.